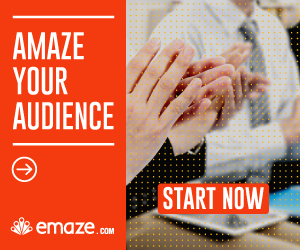 Can I use Emaze for free ? Yes, but you can’t download or make your presentation private unless you upgrade to a paid plan. you can read here more about the upgraded plan. On what technology does it based ? Emaze presentation based on HTML5 technology. Can I download the presentation I have created ? You must to upgrade to paid plan in order to download Emaze presentations to variety of formats like PDF, Video and more. What does the upgraded plan allow me to do ? the main benefits of it is the ability to download and make you presentation private. To whom Emaze is intended ? Emaze intended to anyone who want to make good looking presentations without any technical or design knowledge. it’s especially great for Teachers, Entrepreneurs, Lecturers, Business Owners and Pupils. if you one of them you can read here how Emaze presentation can help you. Do I need to download a software before I’m using Emaze ? No, you can create and watch your presentation online without a software. you can download Emaze presentation player in order to play presentations offline. Can I use Emaze with my smartphone ? You can watch presentations with your smartphone (iPhone or Android) but you can’t create presentations with your smartphone. Can everyone see my presentations ? If you are using the free plan then anyone can see your presentations. but if you use the upgraded plan you can make them private. Does Emaze support any language ? Yes. it also supports right to left languages like Arabic and Hebrew. How can I see how many people watched my video ? Navigate to the area of your presentation collection and there you can see beneath each presentation how many people watched it. with businessplan you get also Insight Analytics Pro. How can I share my presentation ? You can share your presentation on social networks like facebook and twitter easily by clicking on the menu at the right top of the presentation and then click on the very left icon. How I add a font that doesn’t exist in Emaze editor ? You should upgrade to business plan in order to do it. How can I remove Emaze logo ? Yes, but only if you have upgraded plan. Can I play Emaze presentation offline ?